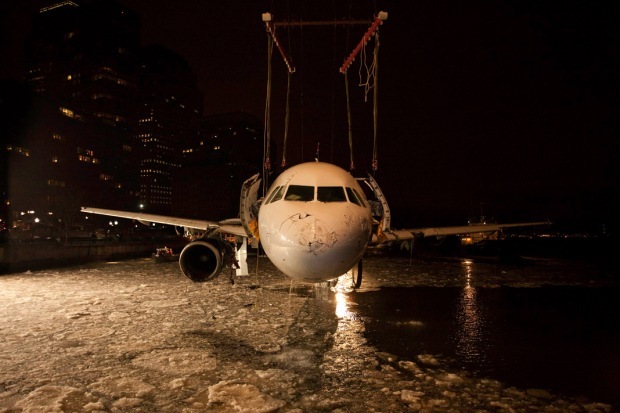 Days after Flight 1549 splashed into the icy Hudson this past January, Stephen Mallon grabbed his camera. The Brooklyn photographer had been longtime friends with the folks at Weeks Salvage, the tow company responsible for pulling the plane from the water. That's when Mallon got some pretty spectacular access: he was underneath the crane when the Airbus 320 emerged. Mallon described his view of the nose of the plane as "looking at a beached whale." Then, before investigators towed the aircraft to Lyndhurst, N.J., Mallon stepped inside. He snapped a picture of a waterlogged tray table. He saw the seats, where 150 passengers evacuated after Captain Chesley Sullenberger's "brace for impact" command. And he saw Sully's controls, the antique-looking instruments, which the pilot used to steer the plane into gliding position. 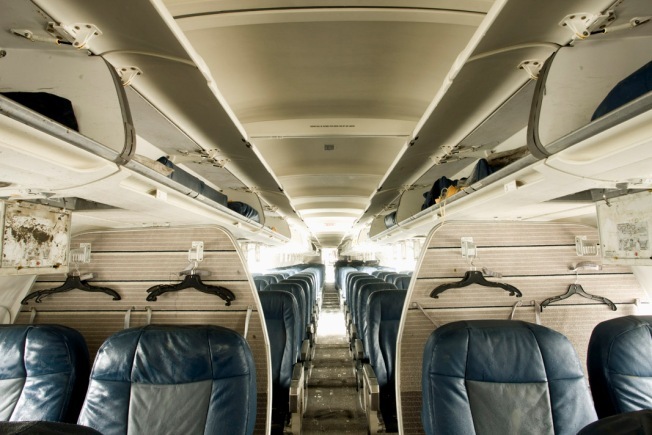 These images are part of a new show, "Brace For Impact: The Aftermath of Flight 1549." It's open at the Front Room Gallery in Williamsburg, Brooklyn until October 11th. Only eight months ago, no one could have imagined these images. Now, everyone knows about what Governor Paterson first dubbed "The Miracle on the Hudson."